I was lucky enough to attend one of author, Tristan Bancks, StoryBoard writing workshops at Bangalow NSW where some of the scenes of the book were inspired! So needless to say- I loved this book because I had a connection. 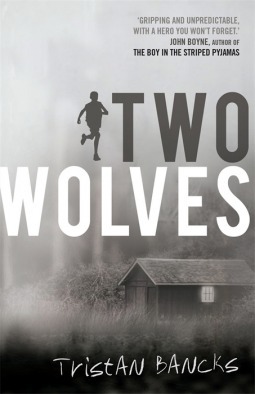 Tristan sometimes writes (Two Wolves, The Fall… and apparently his latest book too) in the genre that Carl and I are trying to break into with our newest novel- YA suspense. We kind of modelled the pace and tension from the old Goosebumps books- so it was pretty inspiring and a big learning curve to read from a contemporary, Australian expert like Tristan. Ben is suddenly ripped away from making animations for his Youtube channel to go on the run with his parents. He knows something is wrong no matter how hard they try to keep the secret from him and his little unsuspecting sister. The novel is fast paced with new snippets of information revealed to Ben who diligently records them in his notebook pretending to be a detective like his Youtube animations. As they hide out from the police Ben discovers more about himself and his family. Running from the police he is forced to endure some pretty intense situations. The reason they are on the run is quite clever and leaves all of us questioning what we would do if those circumstances happened to us or our family. We are left wondering which ‘wolf we would feed’- the good one or the bad one. I’m not sure I would have chosen the path Ben does in the final moments of the book…! Its a fast paced book- which I liked. The style and characters were great. I sometimes questioned Ben’s actions and if they were really what a boy his age would do… but then who knows what any of us would do in the tricky and dangerous situations Ben found himself in. What did you think of Two Wolves? What do you recommend I read next in Aussie YA suspense? Sign up for exclusive bonuses, competitions and to be the first in the know!